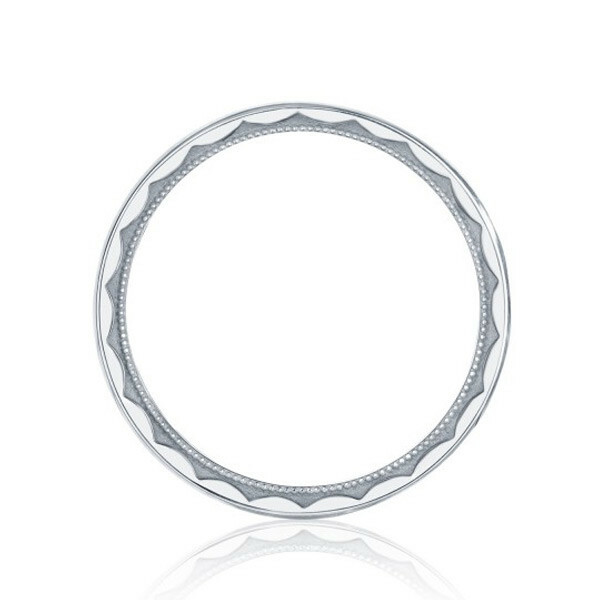 This Tacori wedding band is part of the Sculpted Crescent collection. Its mid-section has an intricately carved milgrain design is highly detailed, bookended by shiny precious metal. The ring is available in white gold, yellow gold or platinum. 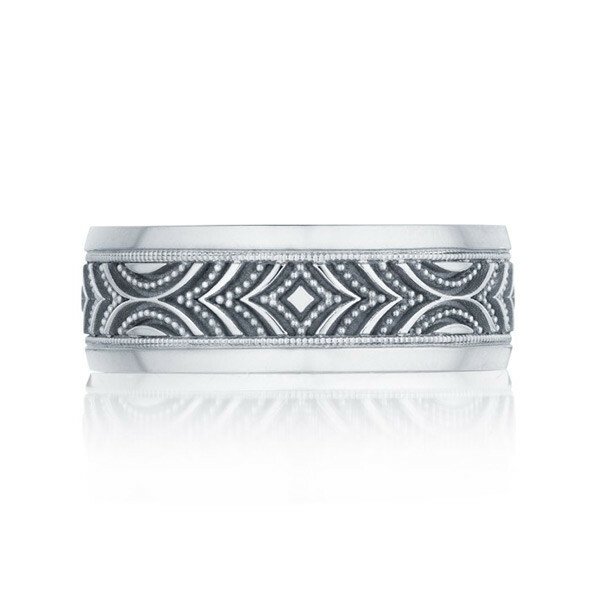 This is a wedding band with a one-of-a-kind look, for a one-of-a-kind man!